Tiger Woods wrote his place into the history of the sport with a clinical display to win his fifth Green Jacket at one of golf’s most famous venues, Augusta National, writes WADE PRETORIUS. To start is to rewind back to the 2017 Masters, and Woods admitting what the golf world feared most – he might never play again. 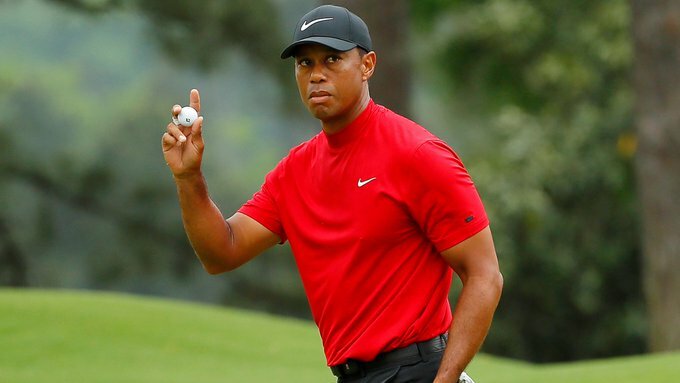 Four back surgeries and the sands of time made the return of Tiger, in Sunday red no less, almost a figment of modern imagination. A tremendous amount of water has passed under the bridge to get to this point – this landscape-changing moment in golfing history – including challenges at two Majors in 2018 where he came up short. Finally, the comeback was completed at East Lake with tour win No 80. It seems the unimaginable is not only possible, but probable. To place Sunday’s finale into context is to describe the competitors who came and then fell by the wayside. First, Francesco Molinari – who looked invincible after going 49 holes without a bogey, the longest streak in Masters history – but the Italian, as with many before, came unstuck at No 12 with a ball in the water. The Open champion was reduced to a playing spectator when he found water again, this time on 15. Patrick Cantlay surprised all and sundry, and moved ahead with an eagle on 15, but quickly left the scene with bogeys at 16 and 17. World No 2 Dustin Johnson played his way into contention with four birdies between 13 and 17, but a closing par saw him finish at -12; a mark passed by Woods with a two-putt birdie on 15. Xander Schauffele, 2017’s PGA TOUR Rookie of the Year, made a late dash, but fizzled out down the stretch with four pars to close and join Johnson at -12. Scroll down the leaderboard inside the top 10 under the name of Woods, and you will see the likes of Jon Rahm, Tony Finau and Brooks Koepka, who intermittently looked a real threat, with many others also fleetingly in contention. But Sunday belonged to Woods. Not from the start, but by the time he reached the 18th tee it was about soaking in the surreal realisation of the feat he was about to achieve. Woods played his own game, often trading blows with Molinari, but in truth, he was sticking to his plan, which included rolling with the punches. Back to back bogeys at four and five sent him over par. No matter the high definition of the modern camera, there was no sweat to be seen. Birdies would come. They always do for Woods. He ticked the boxes with gains at 7 and 8. Another punch would follow with a wayward drive on 10. Forced to punch out, he soaked up the pressure and settled for bogey. The back nine on Sunday had begun. The roars were audible around the course drenched in a light rain and soaked in a grey blanket of cloud. His focus would drown that out as he watched Molinari dunk his ball short in the hazard off 12. With laser-like accuracy, he found the centre of the fairway and two-putted for par. The winds of change were blowing, and despite some company at the top of the leaderboard, Woods was striding out. Birdies at both of the par-5s were always in the plan, and with his driver performing the best in a decade or more, the plan was executed to perfection. An ace at 16 would’ve been overkill as he settled for a short-range birdie and a two-shot lead. Out with the driver, he found safety again and then once more up 18 as the hysteria built among the patrons. A bogey at the last was not enough to take even one iota off his masterstroke Sunday. Major championship No 15, the first since the 2008 US Open and first at Augusta for 14 years. Also, notably a first while not in the lead after 54 holes. A new Tiger Woods indeed, and who would deny him after going without this feeling for all of 3 955 days. We need to now pick up the conversation about golf’s greatest-ever player. And when, not if, Woods will match Jack Nicklaus’ Major championship tally of 18. He will wake up Monday just three behind and ready to go again. Two years ago, he was waking up and happy just to be able to walk unrestricted. The restrictions on what he will achieve in the game are now purely his own.